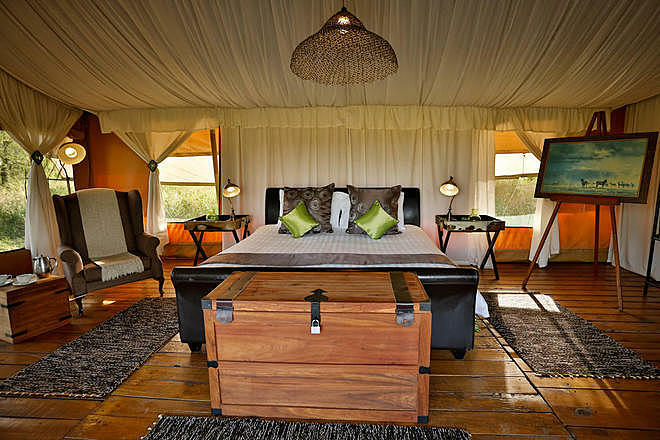 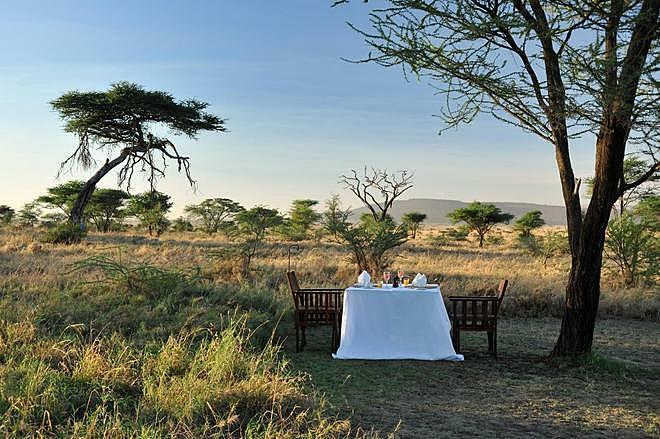 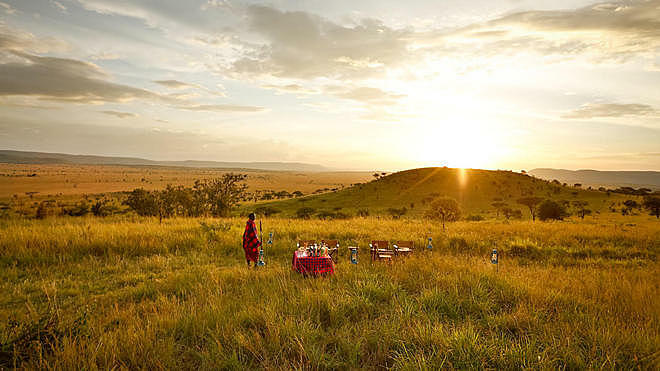 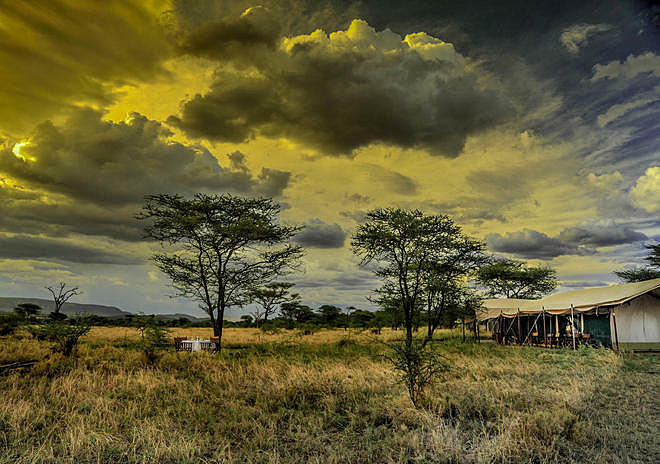 Set in the vast, open expanse of the Seronera Valley in Central Serengeti, Northern Tanzania, are 12 deluxe-tented suites offering a luxury experience in a rustic camp setting. 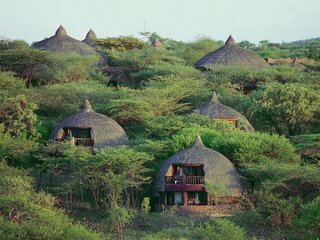 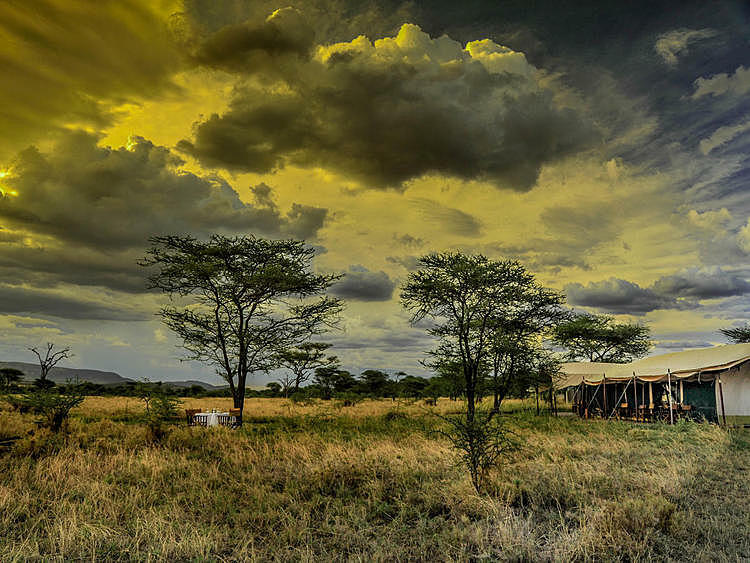 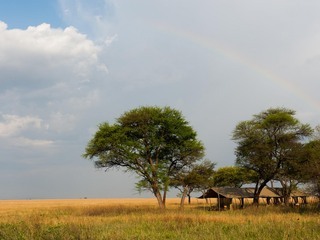 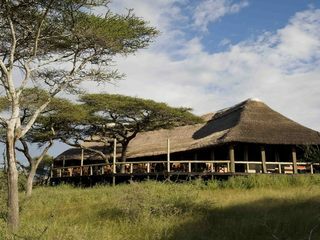 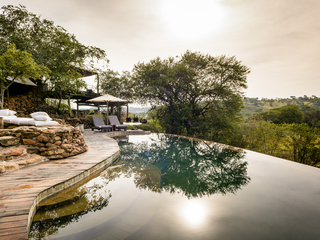 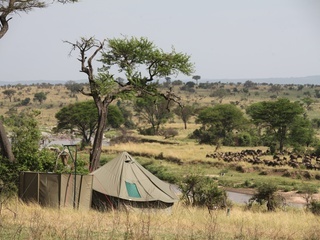 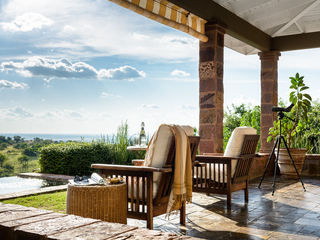 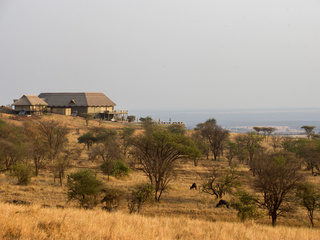 With the Central Serengeti well-known for the Great Migration, the Lemala Ewanjan Tented Camp makes the most of the spectacular wildlife and scenery, offering uninterrupted views across the savannah as wildebeest roam in the distance. 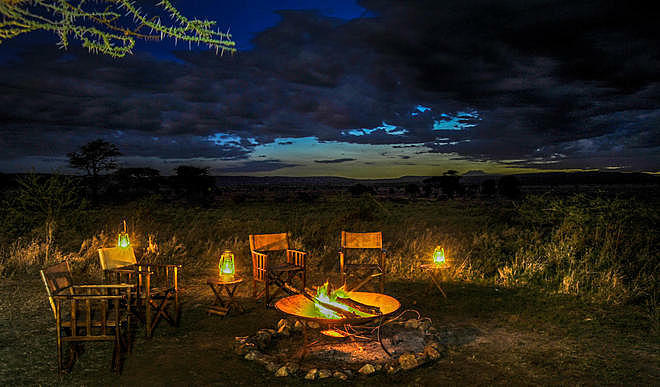 In the evening, at sunset, guests gather around a campfire for drinks and a chat, before dining under chandeliers in the lounge tent or the starry sky. 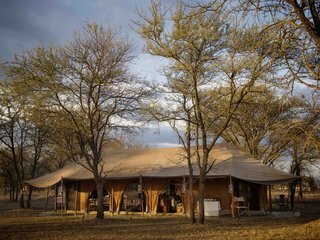 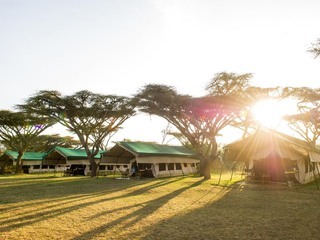 The guest tents are all en suite, with queen-sized beds, hot bucket showers, a flush toilet, 24-hour solar lamps and outside loungers. 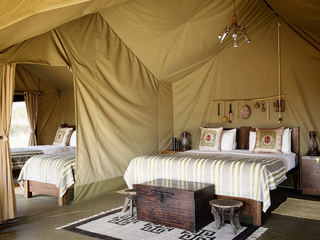 The tents are large and elegantly decorated, with rugs, duvets and cushions. 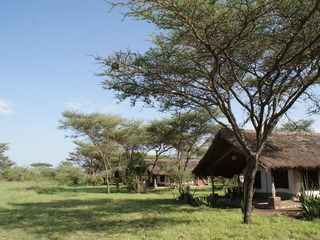 Internet access is available in the main area only, where there is also a centralised bar. 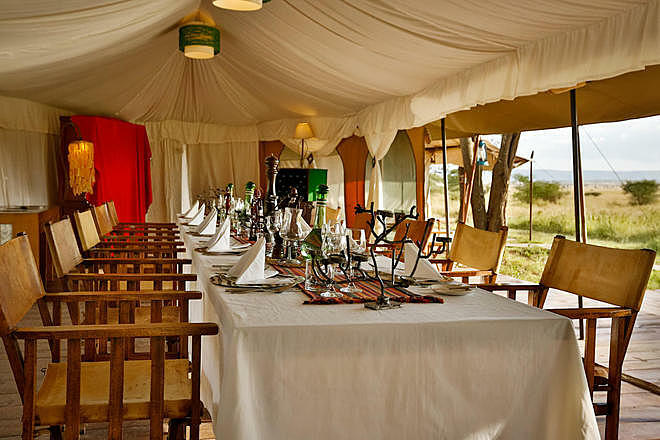 Highly-rated restaurant-quality meals are prepared on site from food trucked in weekly. 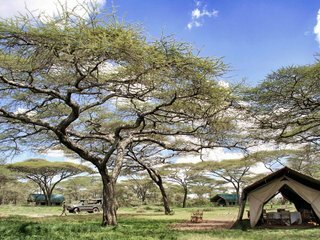 This place offers great game drives in their open four-by-four vehicles, fitted out with charging units and a large refrigerator. 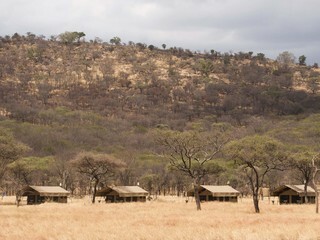 The area is excellent for sightings of great cats. 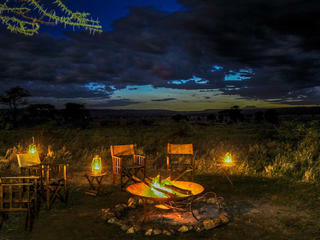 Masai tribesmen patrolling the camp at night keep guests safe. 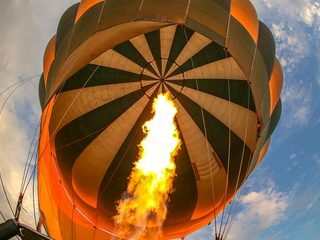 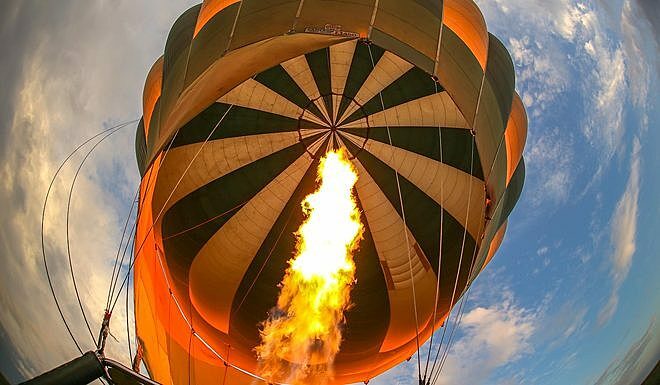 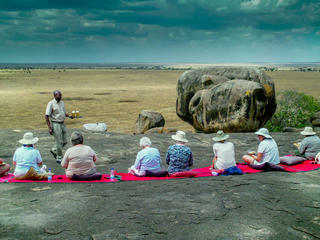 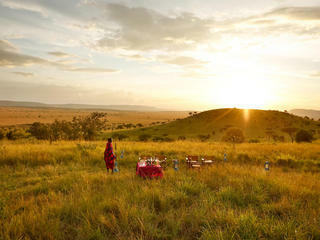 Another option is to take a hot air balloon ride, surveying the panorama of the Serengeti from above. 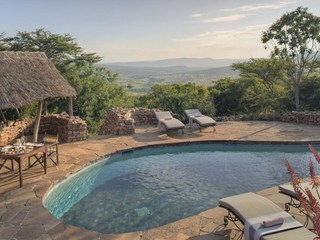 Children of six years and up are welcome, although younger children may be accepted on request. 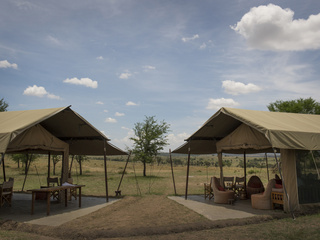 Each of the two family tents houses two queen-sized beds, allowing plenty of space for two adults and a child. 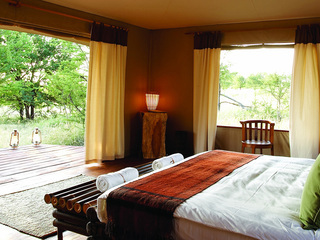 A single bed can also be squeezed in for a second child. 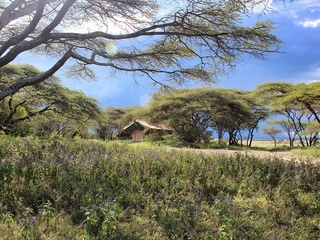 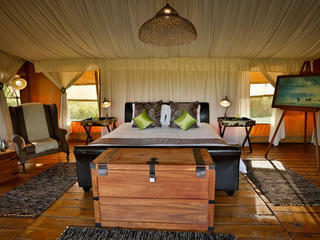 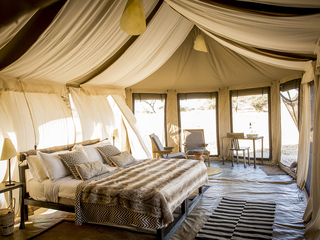 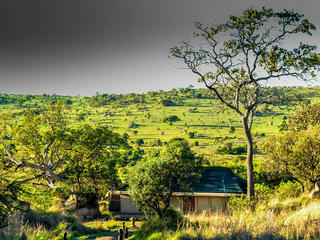 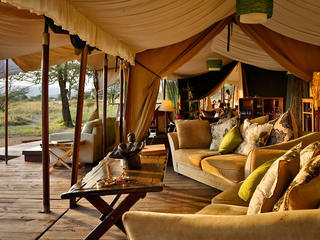 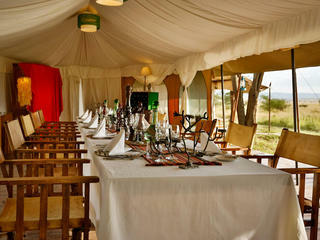 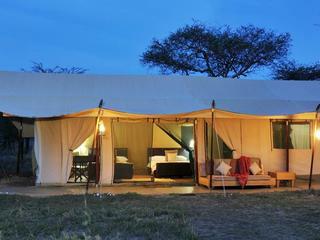 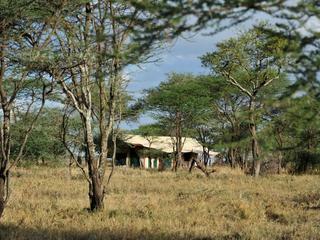 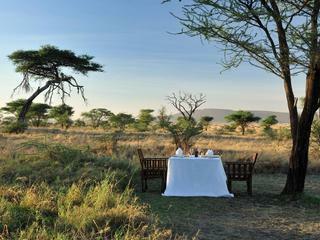 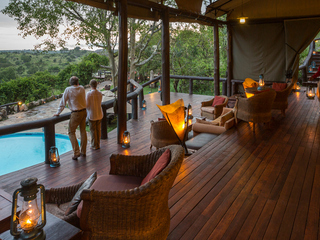 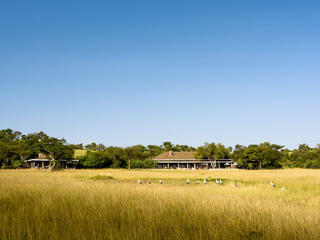 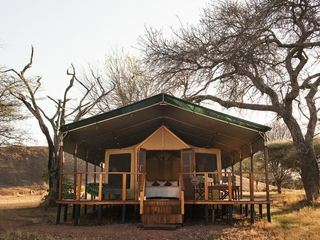 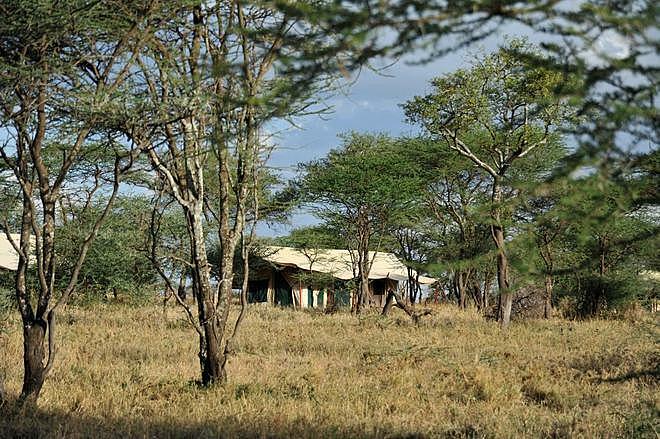 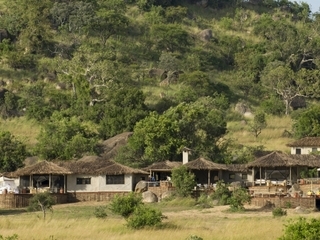 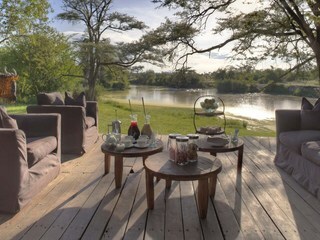 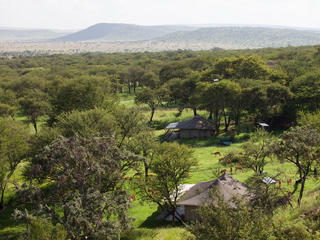 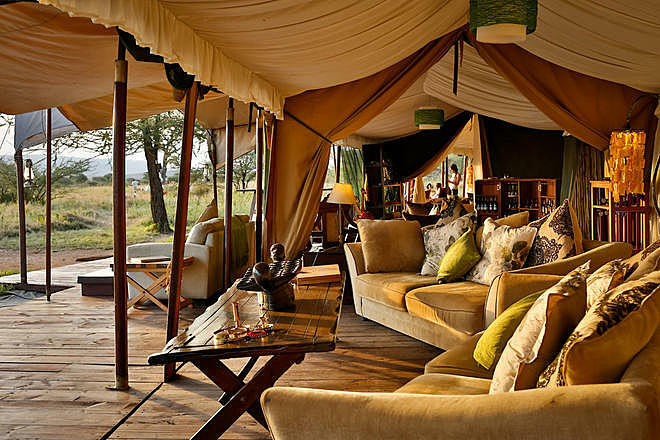 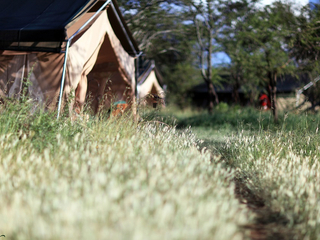 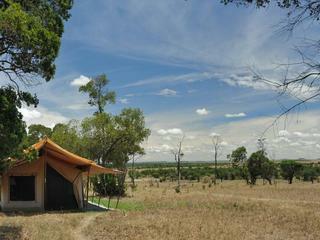 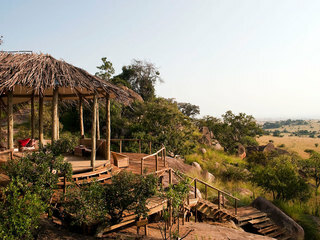 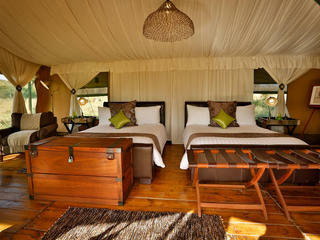 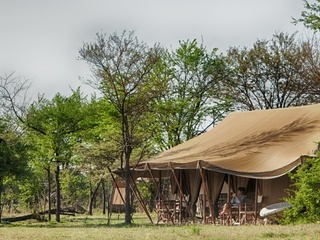 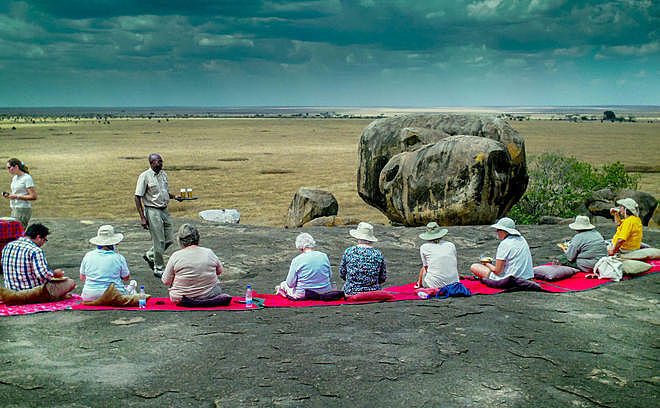 The camp’s main activities are generally limited to daytime safaris. 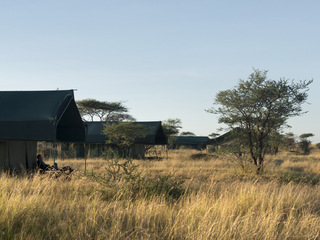 However, the Lemala Cubs Programme provides a range of educational activities to keep children entertained, from learning how to use a bow and arrow, to tracking around camp with resident guides, to sitting around the camp fire roasting marshmallows and listening to African fables. 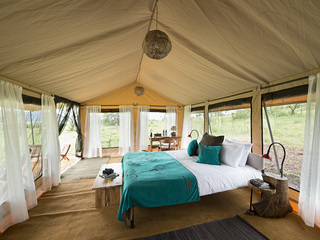 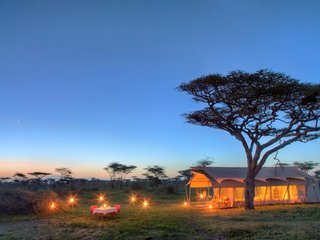 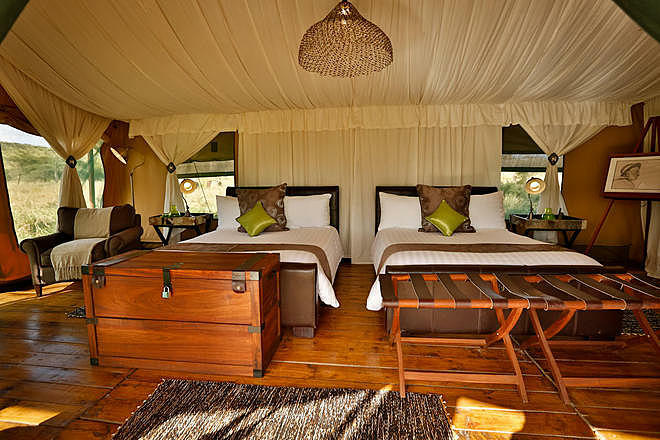 Lemala Ewanjan Tented Camp promises comfortable, moderately-priced accommodation and excellent wildlife sightings in a stunning Central Serengeti location.